Imagine you could go back in time and meet yourself at 22 years old. What career advice would you offer, given all you’ve learned since? What nuggets of civil engineering wisdom would you bestow? 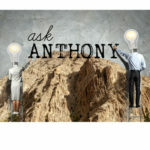 “Be assertive, take initiative, and never be afraid to ask questions – especially when you are stuck on a project. Just because you’ve earned that degree does not mean you know it all. Soak up as much information as you can and keep asking your supervisors questions, especially while you are still young in your career. “Do not be reluctant to find a mentor who truly has your best interests in mind to help you reach your aspirations. The mentor can come from within the company where you work or within an organization that is related to your profession. Just be proactive about finding one and don’t wait for the person to find you, since you indeed are the controller of your own destiny. “I would tell myself to set a long-term career goal. After graduating from the U.S. Naval Academy, I cross-commissioned and served the next four years in the Air Force. I worked hard as a project engineer and had the opportunity to travel around the world, but I did not have a long-term vision for my career when I got out of the Air Force. “I would tell myself that my 20s are really short, and I will never have as much time for fun as I did then. “Every day is an opportunity to learn more, to achieve more, and to share more. Seek knowledge, push yourself out of your comfort zone, and give back. “Learn how to network effectively and maintain the important relationships. This doesn’t mean collecting business cards or seeking out the highest-ranking person in every room. “My advice is to have a career plan, implement it, and update it when unexpected opportunities arise. “In 1955, as I was completing my studies for a master’s degree in civil engineering, I decided to go on active duty as an enlisted man in the U.S. Army Corps of Engineers. My reasoning was, at this time of the Korean War, I did not want to limit my career choices to those providing a draft deferment. So, I should serve the required two years on active duty and then have complete freedom in job seeking. 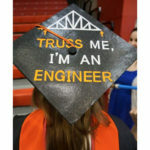 “After basic training, I was assigned to teach at the Engineer School at Fort Belvoir, VA. Three young officers there, for whom I worked, had recently completed master’s degrees at the University of Illinois and recommended that I study computer methods in engineering and structural dynamics. Moreover, they recommended me so strongly to Dr. Nathan Newmark, the distinguished department head, that he offered me an appointment as an instructor with the provision that I successfully pursue Ph.D. studies. Great article, useful AND interesting. I have the honor of knowing two of the celebrities in the article. One more item is to be involved in your industry and community, Jaffer and Paul both give back to the community and impact so many. Go get that master’s degree. No exception. I was lucky to be able to do get into design work for the first couple years of my career when I graduated in 2006, but ever since the great real estate crash of 2008 found the rest of my career drifting between bottom-of-barrel positions in bridge inspection and government (both working in and consulting for). Similarly, all a bachelor’s degree will qualify you for these days are positions in construction management, roof inspection, and other quasi-engineering roles that do not get you too far in your career (unless you enjoy those types of jobs). Even if you do get a job after your bachelor’s, immediately make plans to study for your master’s degree, either part-time or full-time after several years of working. Networking is a great idea, but keep in mind that the bright engineer or successful manager you may have met over a happy hour may not often be the one with the power to hire you, and after the small talk and ideas go aside, are seriously judging you on your actual qualifications rather than your personality or “work style”. Many of us are living today with the decision a teenager made. Change horses if the one you are riding is not taking you where you want to go. Pay more attention to, and care more about, people. You never know who is going to be your boss! And those you offend will tell someone. Get along, and get ahead. Remember, today is the first day of the rest of your life. What are you going to do with it? I know many will think I am just being cheeky, but really, go to law school. Only gig where you create work for yourself and when you’re done you can challenge what you created to create more work for yourself. Then when you’re old, you can sell yourself as an expert on all of the stuff you created for yourself. After all, it’s all only your opinion. Sweet! Hrand Safarian, MSCE (Since 1956) , PE, Hrand Safarian Engineering, Self Employee.eering Selfempolyee, MSCE,PE, General B and A Licenssed . With today’s computer and communications technology you are lucky, but after a break overall recheck your work which you have done on your confidence. Good Luck. 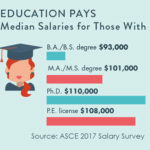 My advice to my younger version of me will be immediately join the ASCE community, pursue a higher degree of education (master’s degree like I’m doing at this moment), be more active in civil engineering continuing education and explore a wider scope of project management. 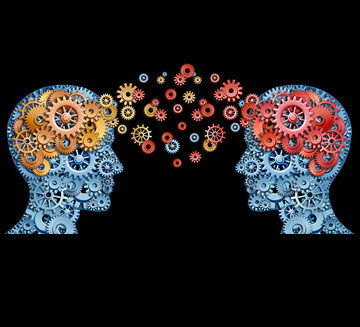 Don’t let the day without learning “something” that will add up to your knowledge and skills and share it to your peers.